yum lush! | S J M W E L L - Fashion, Beauty & Lifestyle blog. 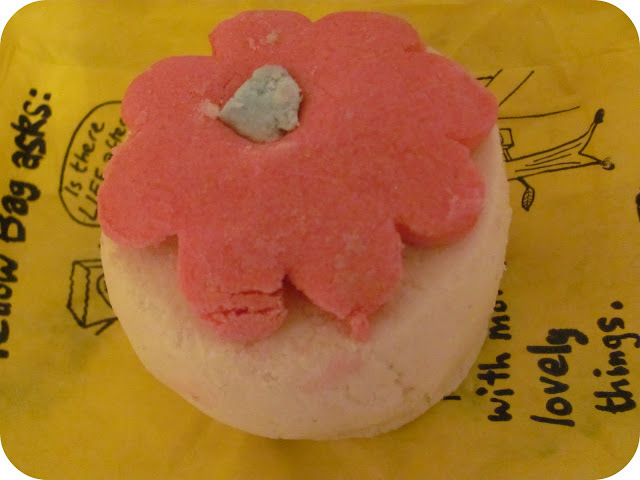 Hi blogger's, so the other day i popped in Lush for the first time in months to find my best friend a little something. The lady in there was lovely, and recommended certain thing's- showing us how it works and what she like's. It's nice because i've never really been shown anything in Lush before, she showed us these bath thing's which i have now fallen in love with! Like many other's i associate Lush with bath bombs and that was all i used to buy, i remember being given a regular size "sample" of the berry face mask when it was introuduced (which was absolutely amazing except i don't like the £5 price tag.) i love their bath bomb's and always used to buy the sames ones! the lady recommended these, they aren't bath bombs you can use them up to 4 times... which is great! she demonstrated using the blue skies and fluffy white cloud's, using the tiniest amount yet it foamed up and smelt so yummy! i used my flower one tonight and as i held it in the water to ease it to dissolve it was so soft so imagine how soft my skin was, i used about 1/4. I think it's so good because with bath bombs after one indulgent bath it's gone but with this you get more uses for similar money! 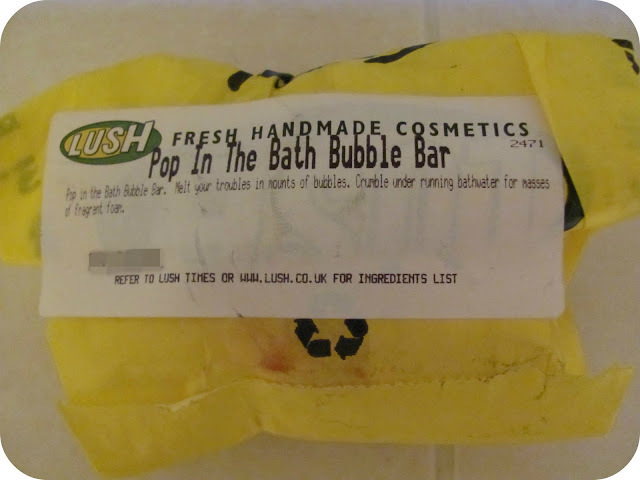 Lush says: The Pop In the Bath Bubble Bar was originally inspired by Mary Poppins, who blew in on the East Wind to 17 Cherry Tree Lane to sort out a chaotic household. I'm sure we all have times when we could do with a Mary to land on the doorstep and sort out all our problems. To me it smelt of the "real lush smell" i smell everytime you walk in the shop, it was lovely and i will definately be buying these again. of course there were many other thing's i want to try, i also really want to check out some thing's you all recommended on my last lush post here, i have found my old love for Lush and now want to indulge in load's of there yummy thing's!